Families, life groups, and mission teams are in and out of our office constantly. They bring joy, laughter, and a willingness to serve. Volunteers are a vital part of the New Missions team. New Missions has been blessed to have Journey Christian Fellowship from Quinton, Virginia serve alongside us in ministering to the Haitians. 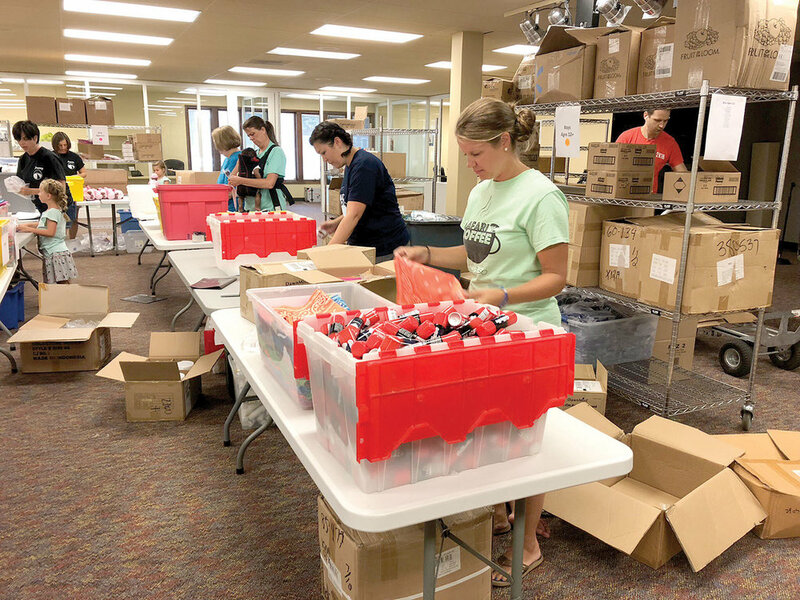 They led a team to Haiti in May 2018, and a few months later came to Orlando to help us pack “prepacked” shoeboxes. Sarah Pulling and her daughter Lilah were able to be a part of both mission teams. It was wonderful for Lilah to meet her sponsored child in Haiti, and then come to Orlando to help pack shoeboxes. We love having families serve together at New Missions. We are thankful for volunteers of all ages—serving and giving. For shoebox packing ideas visit shoeboxdrive.com. Thank you to our shoebox drive volunteers who are making a difference.